UCF to participate in the Microsoft Flagship Schools program. A new collaboration with Microsoft will have a big impact for UCF students and the Central Florida community. As part of a five-year agreement, UCF will work with the technology powerhouse to evaluate and develop educational initiatives ranging from research and teaching to optimized learning environments. Together, we will work to ensure the students of UCF graduate at the highest level and open more opportunities for hiring at companies such as Microsoft. In addition, Microsoft announced the selection of UCF for its first cohort of in the Microsoft Flagship School program and one of the first higher education institutions selected in North America. The Microsoft Flagship Schools announcement was made on Microsoft’s blog, naming 16 K-12 and higher education schools, chosen worldwide for having the potential to transform education. The other participants in the flagship school program span five continents and include countries such as Australia, Chile, China, Egypt and Germany. UCF’s belief in the power of partnerships has been key to its institutional success. Whittaker has pledged to build strategic and impactful relationships as one of his primary focus areas, establishing a new division for partnerships and innovation upon taking office in July. UCF plays a vital role in leading Central Florida’s growth by broadening and diversifying the economy and strengthening the region’s social and cultural fabric. The initiative with Microsoft is yet another opportunity to positively impact the community and bolster student success by leveraging shared resources. 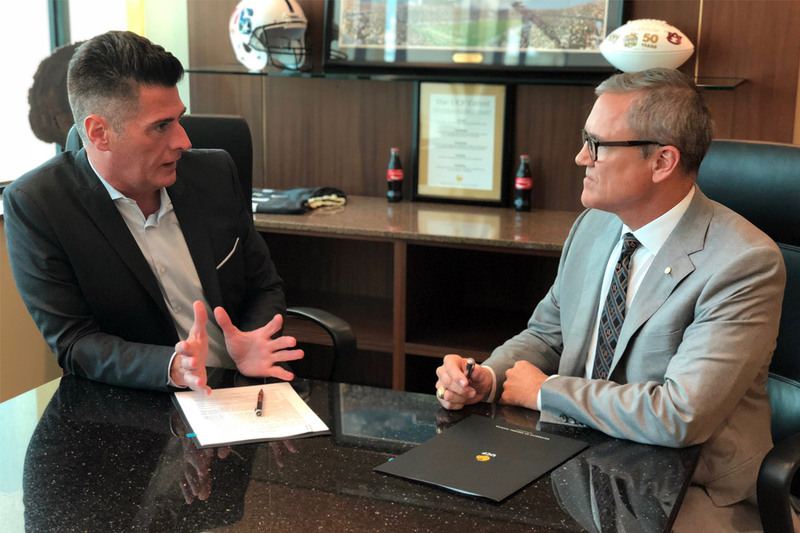 In July, Microsoft’s VP for Education Worldwide Anthony Salcito met with UCF President Dale Whittaker to sign a memorandum of understanding between the university and the tech company. During a site visit in June, Microsoft executives met with UCF, Valencia College and Orange County Public Schools leaders, toured downtown Orlando, and heard presentations from faculty and staff on the research, technology innovations and growth underway. The teams also focused on leading-edge education initiatives, including artificial intelligence and machine learning, data analytics, and digital learning. 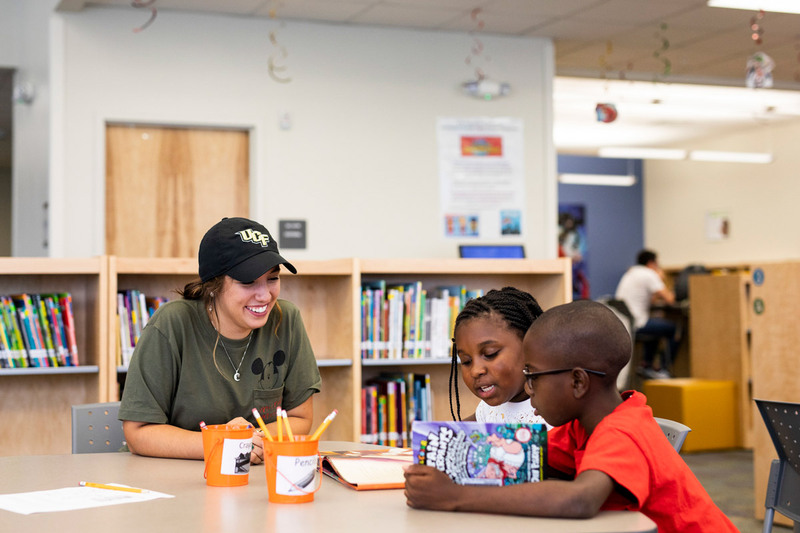 By expanding the ways students can earn a college degree beyond traditional classroom learning, UCF has been able to provide more students better access to a high-quality degree. Part of the way UCF has done this is through a focus on digital and blended learning. And it’s working. More than 80 percent of all UCF students take at least one online or blended course as part of their regular curriculum and are more likely to graduate in less than four years. Through programs such as UCF Online, which offers fully online undergraduate and graduate degree programs, students can better balance school, family and work on their own terms. Building upon the work UCF has already done in this area, Microsoft has agreed to provide UCF early access to technologies and pilot programs that can bring innovation to the classroom, whether that’s face-to-face or digital. Microsoft will bring internal experts and researchers to the table for consulting on best practices and new opportunities. UCF is excited to be part of the Microsoft Flagship School program. The selected schools, which all plan to open in the next 12-36 months, will actively share best practices with one another as well as benefit from opportunities to engage in early product pilots and research projects with Microsoft. Under a two-year flagship school agreement, Microsoft will serve as a technology advisor to UCF Downtown, which is scheduled to open in Fall 2019. Augmented reality, virtual reality and mixed reality (AR-VR-MR) technology is emerging as a factor in many realms at UCF, spanning the spectrum of fields including the arts, medicine and education, as well as engineering, entertainment and simulation. A virtual and augmented reality innovation lab using the Microsoft name and its advanced mixed reality technologies and devices will be available for students and researchers. In addition to innovative classrooms and collaborative spaces at UCF Downtown, a virtual and augmented reality innovation lab using the Microsoft name and its advanced mixed reality technologies and devices will be available for students and researchers. Like Microsoft, UCF believes that although AR-VR and MR technology is important, it is the application of it that will change the world for the better and make it a mainstay. The new innovation lab will strengthen the growing campus’ focus in emerging and digital media, which already includes a motion capture stage and soundstage, operated by the Florida Interactive Entertainment Academy, for UCF-student productions, research projects and commercial shoots. 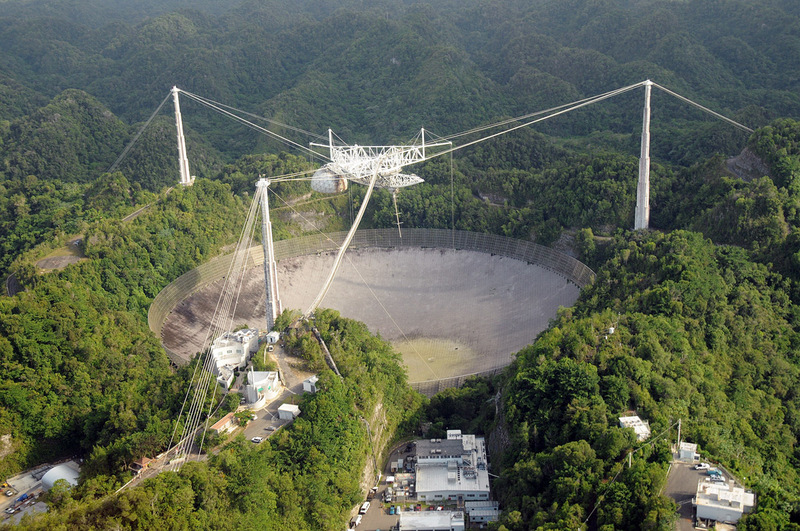 Located in Puerto Rico, the Arecibo Observatory is the most powerful single-dish radio telescope in the world. A Microsoft Worldwide Cloud Architect recently traveled to Puerto Rico and spent three days working alongside researchers at the UCF-led Arecibo Observatory. Now Microsoft is working with Arecibo to find the best way to store observation data and optimize access to it. The goal is to make robust information about planets, satellites, asteroids and comets more easily accessible to scientists working at Arecibo and around the world. This past July, UCF partnered with Valencia College, Orange County Public Schools, the City of Orlando and Rosen Preschool on the Parramore Education and Innovation District Initiative (PEID), which aims to develop an educational ecosystem for the residents of Parramore. Thanks to a generous gift from the Helios Education Foundation, we will begin conducting research to help determine what resources best support residents from cradle through career while tracking progress at every level. The work will be informed by the Central Florida Education Ecosystem Database, known as CFEED, which will analyze data from 390,000 students attending public prekindergarten to post-secondary schools in Orange and Osceola counties to learn more about the pathways and roadblocks that enable or thwart students during their educational journey. To help support this program, Microsoft holds a seat on PEID’s advisory board, has allocated technical resources to help develop the ecosystem and will provide researchers and data scientists to assist in interpreting the information collected. Microsoft and UCF are bound together by a belief that education is the surest vehicle to success for individuals, communities and the nation. Together, this collaboration between students, teachers, faculty, and the community will bolster student success and empower every student to fulfill their potential.